All was quiet in the eaves above our bedroom window this morning and I could see no wasps flying around our attic space so it looks as though the Doff Wasp Nest Killer has done its job once again. Somehow, I managed to clamber past the cold water storage and central heating header tanks carrying a decent sized piece of chipboard. The board was to kneel on so I could remove the offending nest without emulating a classic comedy sketch and sticking my foot through the bedroom ceiling. 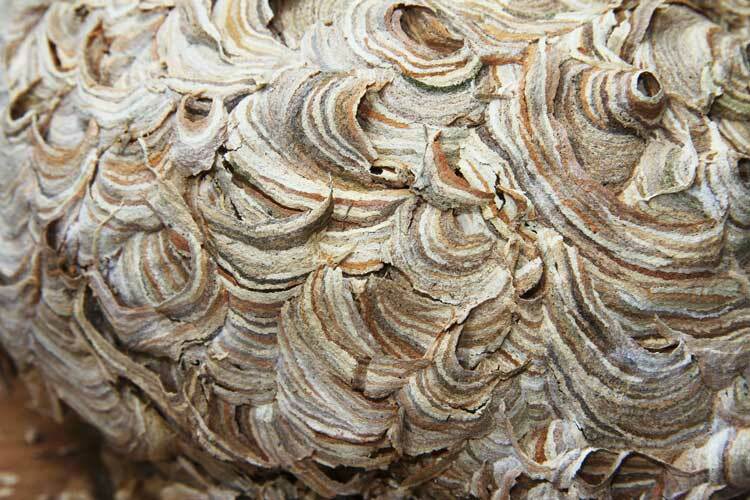 Operation successful – wasp nest removed. It really is quite a beautiful structure, externally looking something like a brain made of very delicate papier-mâché. 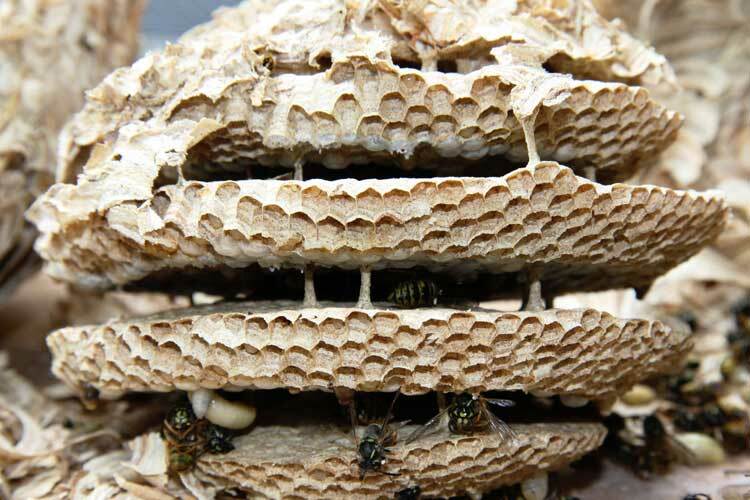 Breaking it open to look inside, in addition to the expected large number of dead wasps, I found a wonderful central tiered structure that was obviously the larvae hatchery. Some larvae were still alive. Perhaps it was all those yummy, fat, juicy grubs that were the main target of the animal responsible for digging up next door’s nest. There were also a few remaining signs of very unwelcome adult wasp life so I doffed it again, sealed it plastic carrier bag and consigned it to the bin.